One of the books that I did a review for a couple of months ago was related to the software audio editing tool Audacity, and was published by Packt Publishing in the United Kingdom. I am also in the process of doing a review for David Burns "Selenium 1.0 Testing Tools" (up to and working through Chapter 7 as of this writing). The Practicum Review format, with the focus on the actual exercises, has led me to see both the benefit (working through the challenges) and disadvantages (sometimes the books examples and the real world tools don't always match up, or the environment we use aren't always the same as the examples, so creativity must be implemented). 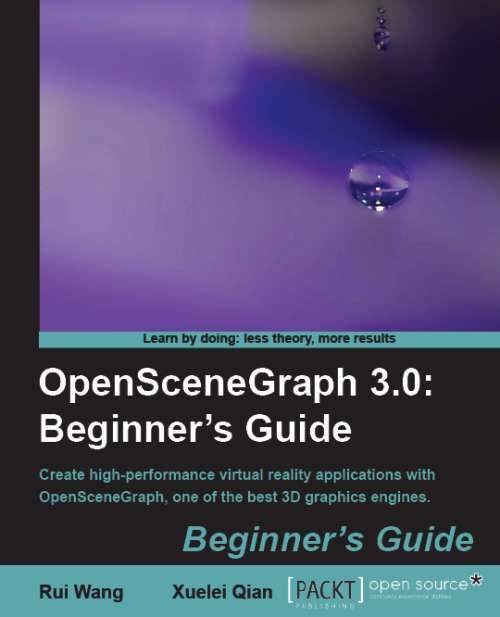 I decided that for the next book I would review in this format, I wanted to take on a tool and a challenge that would be a little different, something that I wasn't really used to doing, but had an interest in. For many years I've been a fan of video games, and I always wondered how they designed the backgrounds or "worlds" that those games worked in. 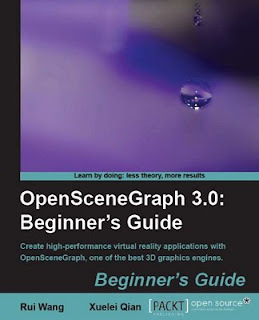 OpenSceneGraph 3.0 is a tool that allows for this very thing, and it's a good thing this is a Beginner's Guide, because I really am approaching this from the vantage point of a beginner. the format of reviewing this book will be similar to what I do with the Selenium 1.0 Testing Tools Beginner's Guide, in that my plan is to work through the problems and the examples and see how they line up, what I actually learn and how I feel about all that. I need to finish the Selenium 1.0 Test Tools Practicum first, and I hope to have that finished within the next week or two. Once that is finished, I will then focus attention on this title. Stay tuned :).